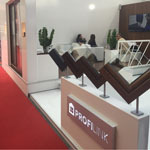 PROFILINK is a leading manufacturer of PVC profiles intended for use in windows, doors, cladding, blinds and special purpose products. Our name is synonymous to high quality products and trustworthy partnerships. We believe that true success with tendency to grow can be achieved only by trustworthy and long-term collaboration.